Quartzite has been becoming very popular over the past few years as an alternative to marble or granite so you should make sure that you have enough inventory on hand of this popular stone. Quartzite is not as durable as granite, but it is much stronger than other stones like marble. It is heat resistant, stain-resistant, and chip resistant, making it an ideal choice for kitchen countertops or bathroom vanities. With more and more sturdy and beautiful stones like quartzite and granite on the market, homeowners are turning to the guaranteed durability of granite or quartzite over the beauty of marble. Homeowners who prefer the light color of marble often love the look of quartzite. Quartzite is a strong and durable stone that works great as a bathroom vanity or kitchen countertop. It is stain and chip resistant, heat resistant, and visually striking. As opposed to marble, quartzite only requires sealing 1-2 times a year. Quartzite is a naturally occurring hard, metamorphic rock that initially was pure quartz sandstone. The sandstone transforms into quartzite when heat and pressure related to tectonics compression occur. The natural and earthy stone color of quartzite work extremely well in all spaces including quartzite kitchen countertops, quartzite vanity tops and quartzite bathtub surrounds. The light stone color fits perfectly in all designed spaces and creates a timeless element of design in a bathroom or kitchen. Fantasy Brown Quartzite is a fantastic quartzite that will look amazing in your kitchen. Here is an article from Marble.com that highlights this particular quartzite. The colors and pigments range in each slab of quartzite, but are typically light gray to white with flecks and veins throughout. Quartzite sparkles a bit, and it can be soft or hard. Do not confuse quartz and quartzite! Although the name is so similar, they are drastically different stones. Quartzite is a naturally occurring stone, while quartz is engineered stone. You will want to have an adequate inventory of both stones for your customers because both are very popular options. Quartz requires practically no maintenance, and since it is engineered, it can be found in many colors and pigments. Quartzite is limited to grays and whites. 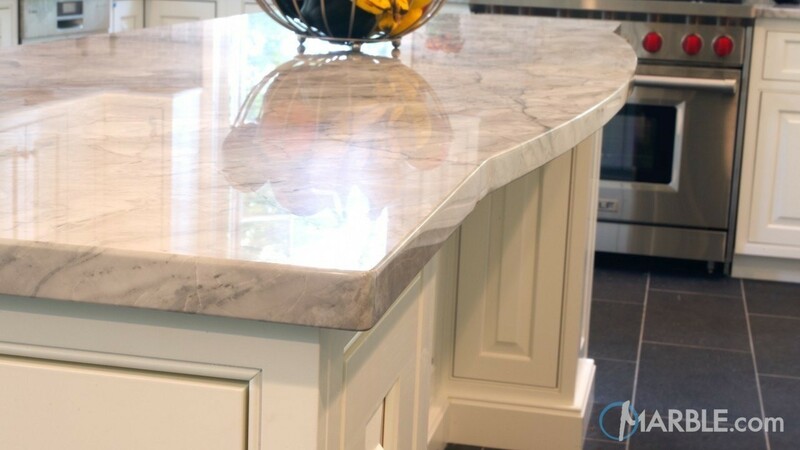 Many purists will opt against an engineered stone in favor of the beauty and uniqueness of a natural stone, but many people favor the ease of quartz. 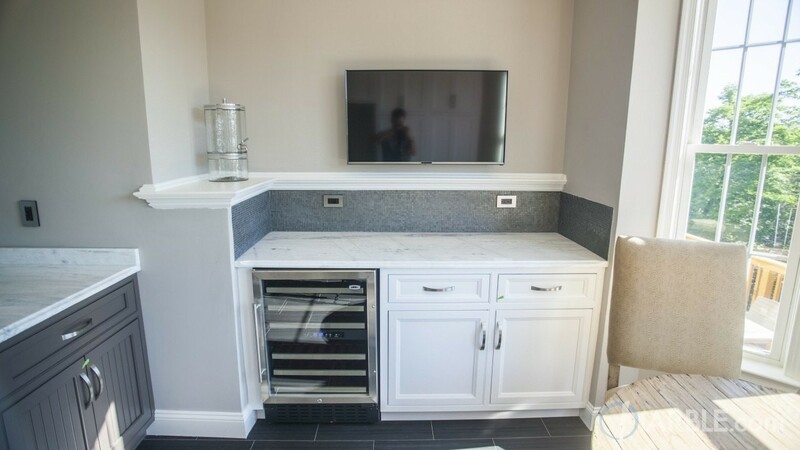 Have similar shades of gray and white within your inventory to compare the quartz and quartzite so that you can allow your customers to make an informed and supported decision when selecting their stones. Slab market always suggests that you give your customers enough time to view each slab at the slab yard to make sure that it is the right stone. Every slab is different and each slab will have slightly different flecks and veins. It is nice to have enough types of stones so that your customers can view each and visually note the difference in each type of stone. Slabmarket.com recommends sealing quartzite countertops and quartzite vanity tops up to two times a year and cleaning with AGM Stone cleaner from Mr.Stone. This cleaning product actually has a small amount of sealant within its formulation so you can seal every time you clean. Quartzite is not as durable as granite, but it is still a sturdy stone that will withstand heavy use with proper care and maintenance.